We last came across Alastair Davidson at the Britcar test and media day, where he was fettling his Mercedes 190E before the 24 hour race next week. He was busy with an altogether different toy at Dunsfold Aerodrome last weekend, at the “Wings & Wheels” display – attended by 20,000 people. 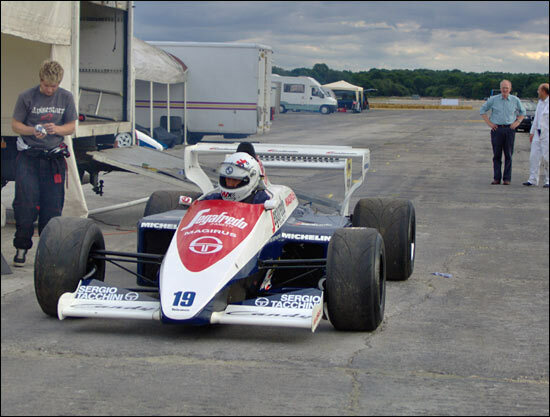 Among the racing cars was Davidson’s ex-Senna Toleman Hart from 1984. Monaco was the scene of that epic Senna display in the wet, when he was catching Alain Prost, but being caught by Stefan Bellof, until Jacky Ickx waved the chequered flag. 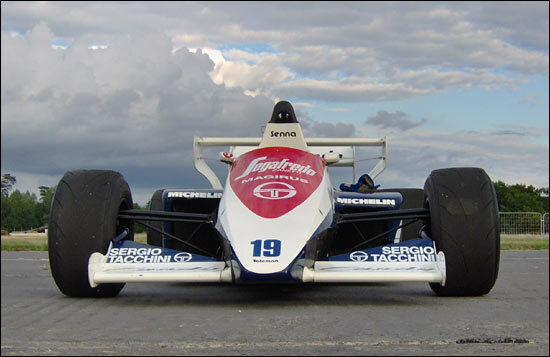 Bruno Senna has expressed an interest in driving this car at Goodwood next year. Meanwhile it’s back to the Mercedes at Silverstone next week. “I was really pleased with how the 190E went in testing, and we’ve got a seat vacant if anyone wants to talk to me,” says Alastair Davidson. 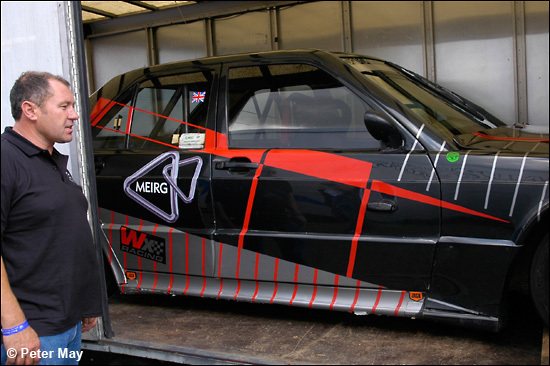 07802 437945 will get hold of him, to drive a piece of endurance racing history.